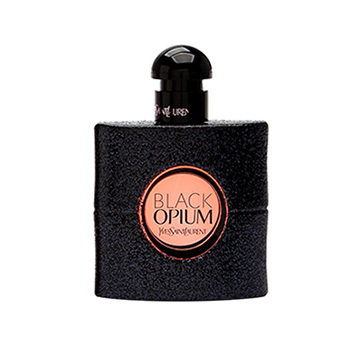 Black Opium by Yves Saint Laurent is an Eau de Parfum. It has notes of Pear, Orange Blossom, Pink Pepper, Coffee, Licorice, Almond, Jasmine, Vanilla, Patchouli, Cedar, and Cashmere Wood. Love it! Very warm, slightly heavy fragrance. To me, it's more suited for a date night or night out than for work or every day. Smells so good! I think I'll buy the full size. Just received today. Shipping was super fast (2days) I really like it, it smells amazing. My husband said "omg! That's your scent" not too strong. Really like this one. Very sweet & kinda strong though. I think this scent is over hyped. It's pleasant enough but far from groundbreaking. I think ANYONE could wear this. From 14 to 114. It's just a warm sweet pleasant scent that's quite light and good for day or night. I would wear this in cooler weather. I have heard a lot about this scent, that its amazing and the best thing EVER!! It's not a bad scent, I find it pleasant but I wouldn't say its amazing. For being a premium scent , I find it average. There is a sweetness to this scent but it is not over powering. This is my first choice and I made a great one!! This smells sweet and strong and it lasts so long...I put it on in the morning smell still lingered at night. My boyfriend loved it too. This smells really really good! Love it! Perfect scent, strong but feminine. Lasts all day for me. This is one of my new favorite fragrances. It smells divine. Sweet and musky at the same time. I love it! Hard to review scents as taste varies person to person. As scent go, it’s sweet and very strong. For me, it’s way too sweet. I definitely wouldn’t buy it again, but I can see how others would really love it. I will keep using what I have though. My fav for the evening or a date.